One of the problems we have when someone comes to the clinic saying that they have, or were told they have Plantar Fasciitis is that they probably don’t. The “itis” refers to inflammation and in most cases, there is very little inflammation going on. Instead, the tissues show more signs of collagen degradation resulting from repetitive, chronic irritation without inflammation. This is much the same as the majority of cases of “Tendonitis” that we see. 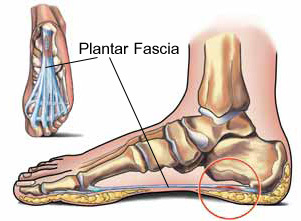 They should predominantly be called a tendonosis and this plantar fascia condition should be called a fasciosis. One of the reasons for the lack of inflammation, chronicity and slow-healing of plantar fasciosis is that it does not have a very good blood supply, like most thick collagenous structures. This is significant because it limits the amount and speed of transport of the nutrients and building blocks required for healing. A second problem that occurs frequently when people come in with this complaint is that they are sure of what they need in terms of treatment. They either have a friend who’s had the problem before or a requisition for orthotics from their GP. The trouble is that finding the cause and appropriate treatment for any given case of plantar fasciosis is a tricky business and can typically only be achieved on a case by case basis. There is no “1” cause. There are many scenarios that can create an irritation in the area. A few of the potential culprits include: Heel spurs, high arches, low arches, hyper pronation, sudden weight gain, increased activity levels or a combination of any of the above. None of those is a guaranteed risk factor however. Take the example of heel spurs. If some one has had a plantar fasciosis for a while, it might be recommended that x-rays be taken. On occassion a person will be found to have a heel spur, which is a bony spur at the medial calcaneous caused by a tugging reaction of the tissues that attach there. When that is seen on an x-ray, it’s tempting to blame the pain on the heel spur. The flaw is that not everyone with heel spurs gets plantar fasciitis, not everyone with plantar fasciitis has heel spurs. The spur can be surgically removed and the patient can still have pain and even when the spur is removed, it will often come back over time. 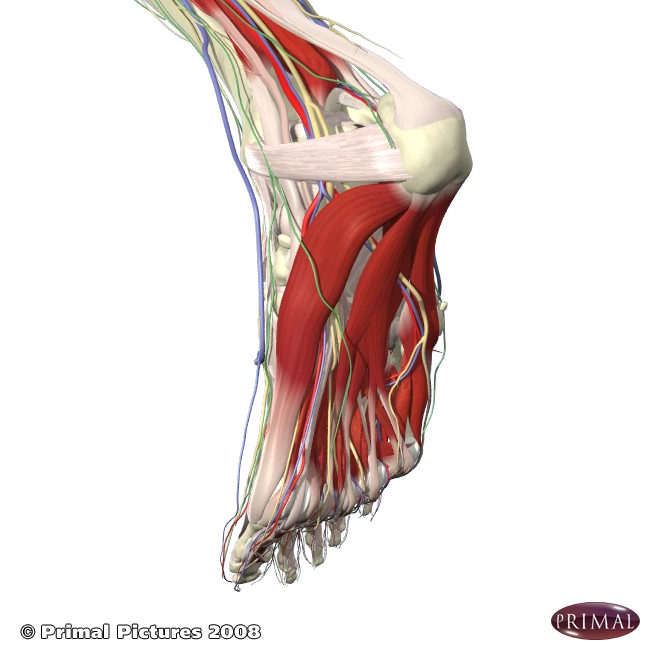 As that arch collapses under load it stretches and strains the plantar fascia. Too much of that stretch and strain leads to micro-tearing and cumulative degeneration. The good news is that although it can be a painful condition and not always easy to determine the cause, it does get better with treatment. Appropriate conservative treatment can include rest, taping, soft tissue treatment for the plantar fascia and calf muscles, ice and in some cases othotics. Other options include surgery (which can be quite successful, but can have a long recovery period) or cortisone injections (which do show improvement at 1 month follow-ups, but no lasting improvement at 6 months…with the added “bonus” of increasing the chance of rupture in the plantar fascia). The bottom line with this (and any other condition), is to make sure you have a proper examination to determine the cause so that you are directed towards the most effective and appropriate treatment.